I have a goal to review each RIP book I read this season the day I finish it (or the next day if it's late) so that I don't end up with a backlog. 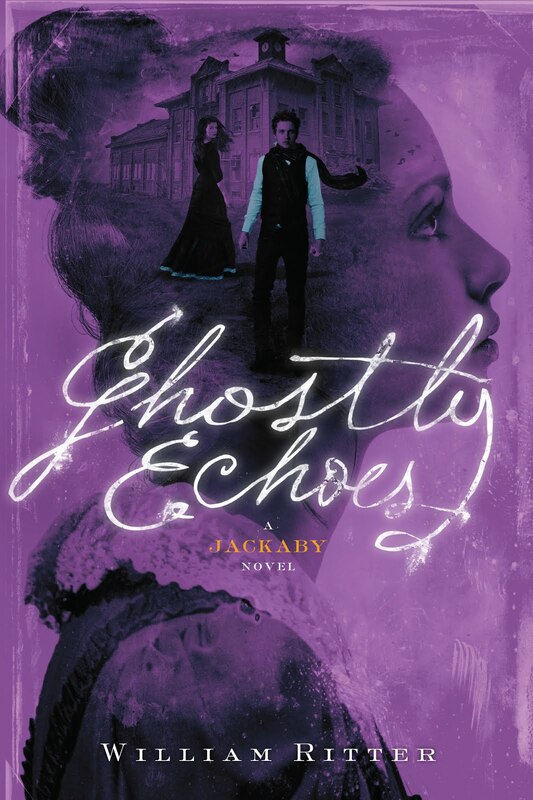 And yes, I already finished my first book -- Ghostly Echoes by William Ritter, third book in the Jackaby series. I actually reread the second book right before so I was totally in the mood to spend more time with R.F. Jackaby, supernatural detective, and his apprentice, Miss Abigail Rook. I really love this pairing. Jackaby is definitely a Sherlock-like character but he knows his limitations. While he is a Seer and can see things like auras and spiritual residues, he knows that this causes him to overlook the more mundane but just as important details. Abigail is perfect at spotting these things and quickly seeing their value. This book ends right in the middle of the overarching storyline so if you want to wait until the fourth (and final, I believe) book is published, feel free. But if you just can't wait to read about creatures, ghosts, mad scientists, and peril in nineteenth-century New England, by all means, pick up this series ASAP! I loved, loved, loved this book. It has some of everything and it is all brought together in an interesting and fun way. Jackaby is smart and amusing and Abigail is brave and also intelligent. But what I loved most is that they still needed each other. Their world views are very different but they are definitely complementary. -- and reread Jackaby and read Beastly Bones for RIP last year. With a smart and secretly caring detective and a strong and capable female assistant, these stories are a pleasure to read. 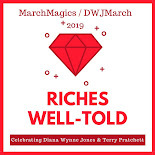 The crimes are bloody and the climaxes are explosive but everything is tempered with a bit of humor and romance, which makes these my ideal RIP books. This series is definitely one of my favorite new traditions and I know I'll be rereading them over the years. I have been meaning to try this series. Thanks for the reminder. Glad you continue to enjoy them! It's got substance and heart along with the creatures. You should definitely give it a try! Putting this on the list! This is probably the third time you've made me want to try this series--maybe this time I'll actually remember by the time a week goes by. 😉 Actually, better yet, I should probably go see if I can put a hold on the first one right this very minute. Well, once you have a hold on the first, you're going to rush through the series. It's quick and fun! Wow, I hadn't heard of this series. I love Sherlock Holmes. I should check it out. It has great reviews, too. I have to catch up with this series! Thanks for the reminder--it will be perfect for R.I.P. I even remember you talking about this series last year! Okay, first one just went on my library hold list. I definitely need to add this series to my ghost fiction TBR. You really got this review up right out of the gate. I like your goal of reviewing soon after reading, a worthy goal I should copy. It's a great ghost series because the main ghost is actually a regular character in the stories. This last one really gets into her backstory too which was fun.